Are you interested in learning about the Southwest Colorado Real Estate Market? 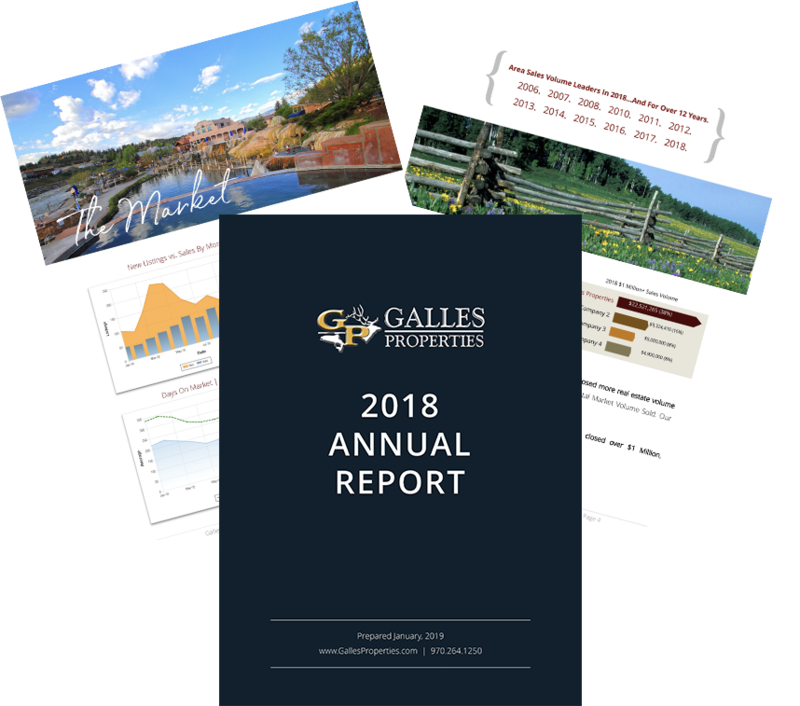 The Galles Properties Annual Report offers a snapshot of the 2018 real estate market in Archuleta County. Complete the form on this page to request a report and be sure to let us know in the comments field if there is any specific information you are looking for. ©2018 Galles Properties | (970) 316-6116. Information presented is deemed reliable but is not guaranteed. Buyers are advised to independently verify all information prior to purchase. Statistics presented are based on MLS data in cooperation with other Brokers. This is not an attempt to solicit your business if you are working with another Broker - Do not copy mockup. All rights reserved.